A few weeks ago, while I was shouldering my mud-clogged mountain bike over a particularly muddy section of trail, a dude came rolling by on one of these. It seemed as if he were floating on air. Man, it would be fun to ride through the winter, through the snow and crud and mud, on one of these. Time to start saving my pennies, maybe for next Christmas. Speaking of winter, and the recent (non-happening) apocalypse, here’s a short, classic poem by Robert Frost. Have a happy, safe, and wonderfully warm Christmas, everyone. Even if you’re out in the cold, on your fatbike. Posted in Crash and/or Break, Winter. 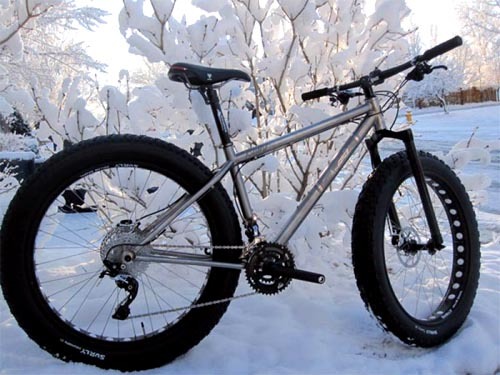 Tagged fatbike, green mountain colorado, mountain biking, mountain biking colorado, robert frost, what i want for christmas, winter mountain biking.